60 Minutes Sports explores the story of the men who brought the winter Olympics to Lake Placid, along with one of the greatest moments in American sports history. Jim Axelrod reports. Clem Taylor and Coleman Cowan are the producers. Nearly every list of the greatest moments in American Sports history includes the Miracle on Ice — the U.S. Hockey team’s upset win over the Soviet Union at the 1980 Lake Placid Winter Olympics. What’s less well known is the story of the men behind the miracle. They were called “the North Country Boys” — a handful of small town businessmen and passionate civic boosters who were as tough and unyielding as the part of the country they came from. They weren’t intimidated by the Dukes, Lords and Counts who ran the International Olympic Committee. Instead – these self-described “local yokels” puffed out their chests, headed abroad, and brought back the games to their hometown. It could never happen today with the Olympic games now multi-billion dollar spectacles bankrolled by governments and multinational corporations. 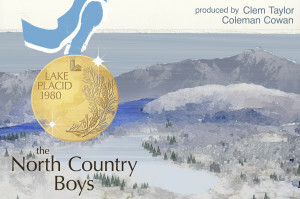 The 1980 Lake Placid games were the last time “Mayberry” hosted the Olympics.